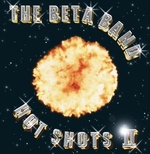 Arguably one of the most acclaimed and loved bands of the past 20 years, by both fans and their musical peers alike, The Beta Band formed in St. Andrews, Scotland, in 1996. Their unique musical and aesthetic approach to everything they did set them far apart from their musical contemporaries. Together for a relatively short period of time, the three albums and three EPs they released between 1996 and 2004 would nonetheless help define them as one of the most exciting and cherished bands of their generation. After acquiring the Beta Band's catalog last year, Because Music will reissue their releases. Alongside The Three EPs (20th Anniversary Remaster) (BEC 5543617), they start with the double-CD, The Best Of The Beta Band. The release compiles all their best hits and includes a live show recorded at the Shepherd's Bush Empire (London) in 2004.